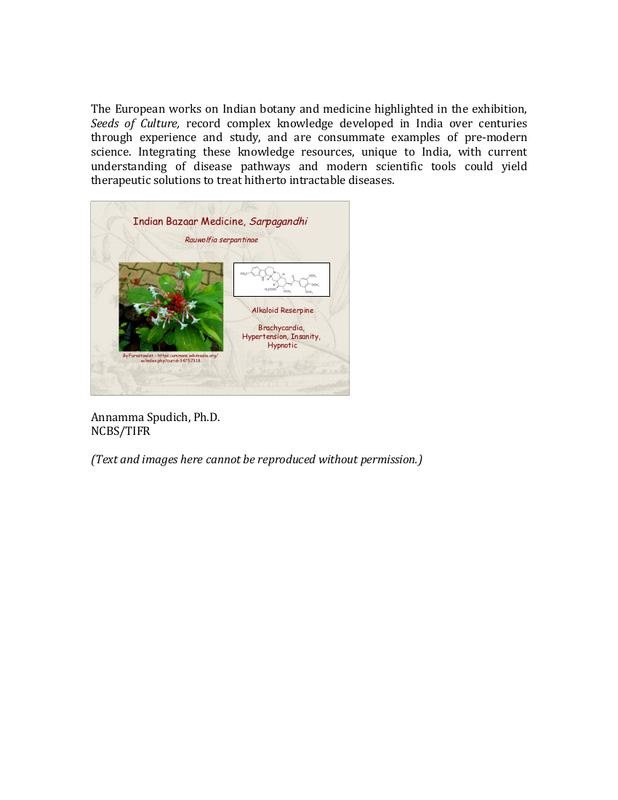 This exhibition focuses on the pivotal role that Indian botanical-medical knowledge systems had in shaping the history, geography, and the study of natural sciences and medicine in the pre-modern world. Science as we know it in the 21st century is perceived to be primarily a western knowledge tradition. 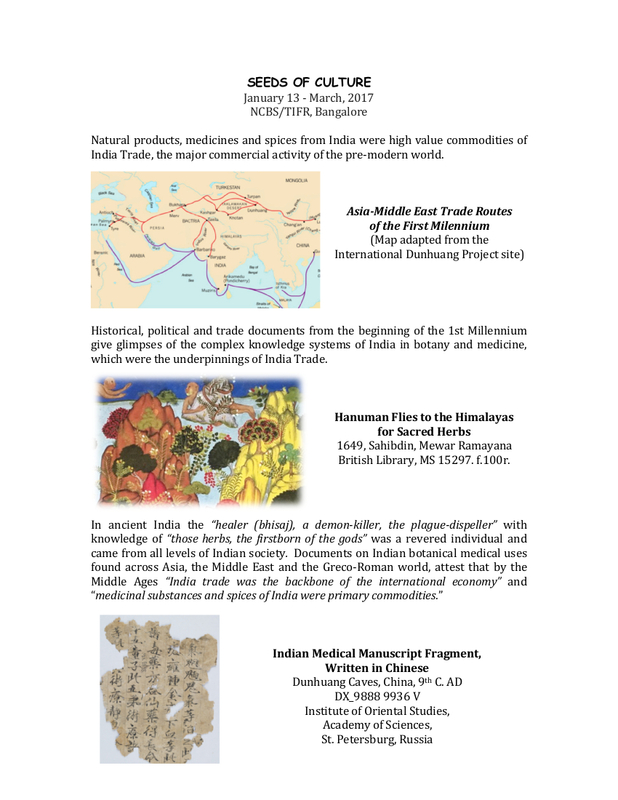 However, ways of learning through experience and observation, and transferring such deductions to broader applications were highly developed in ancient cultures, especially in India. A primary example of such knowledge development can be found in botanical-medical traditions of India. Since Vedic times healing plants and specifics of their curative properties were well known to physicians and healers from all levels of Indian society. While the complex molecular pathways and chemistry were unknown at the time, many of the underlying concepts have been confirmed with modern scientific methods. 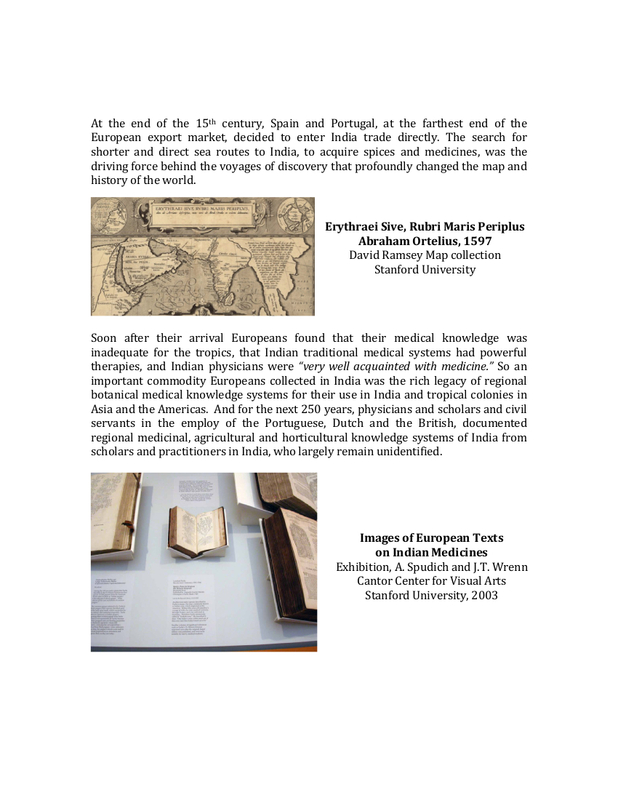 This exhibition highlights books that are invaluable resources of the many vanished regional medicines and therapies of India, not found in Indian classical medical texts. They may be more accessible to current research scholars than classical medical texts, since the European authors describe medicinal properties of individual plants, and describe disease symptoms in terms more related to biomedicine. And as such they could be valuable resources for future bio-medical research in India. Design is an integral component in understanding the content of this exhibition- be it in space, narration, concept, imagination, navigation, experience or communication. The form never dominated the concept. The content guided the modes of storytelling. The structures were woven with the functions they would serve, blending aesthetics that were contextualized. The focus was never on “how it should look”, but how best the story could be told, without diluting the complex and heavy content, keeping all the constraints in mind. In order to augment the experience of the rich narratives that bind the sciences behind the indigenous knowledge with the past, the people, the time and the places, that all together form a layered complex story across millennia , narrative design has been used. There is a sense of journey that has been used as a key aesthetic component, imagining the audience member navigating through time and place, captured through both images and texts curated by the curator and the narrative design brought in by the design team using diverse concepts and media: audio-scapes to reinforce the theme, handcrafted layered light installations to depict some of the important milestones in the history of knowledge, hand drawn illustrations to bring out the folklore and many more techniques to bring the story together for the ideas to be communicated.